(Reuters) – A group of Islamic scholars is proposing a fresh solution to charges that banks’ sharia boards are open to conflicts of interest: create partnerships between the boards and Muslim depositors, to insulate the boards from pressure exerted by bank managements. Sharia boards, composed of experts in Islamic financial law, supervise Islamic banks’ activities and products to make sure they conform to religious principles, such as bans on interest and pure monetary speculation. Traditionally, banks appoint prestigious scholars to their sharia boards and pay them handsome fees and retainers. This has left the system vulnerable to charges of conflict of interest: the scholars are being paid by the institutions which they are supposed to be supervising impartially. A group of scholars in South Africa, led by Durban-based Ebrahim Desai, a senior figure in the city’s Muslim community, proposes that Muslim depositors in each bank fund a sharia compliance body that would be created separately from the bank. ubai based Dar Al Sharia which is the leading provider of Shariah services in the region has signed a collaboration agreement with the Frankfurt based Institute for Islamic Banking and Finance (IFIBAF). Leading Islamic finance scholars are preparing the first global certification for syariah experts, seeking to bolster the industry’s reputation and make it easier for banks to find qualified advisers. The International Syariah Research Academy for Islamic Finance in Kuala Lumpur will pick a board of regulators by year-end to issue permits for scholars qualified to sit on syariah boards, said Aznan Hasan, president of the oversight committee. The scholars decide whether financial products meet the religion’s precepts, including a ban on interest payments. “We are worried that people who aren’t qualified to be syariah scholars may enter and become members of the advisory boards as the market flourishes,” Aznan said in an interview in Kuala Lumpur. Attempts to set up an organisation with a code of ethics to certify Islamic scholars have been frustrated by differing interpretations of syariah law across the Muslim world, Madzlan Mohamad Hussain, a partner at Zaid Ibrahim & Co, Malaysia’s largest law firm, said in an interview. Scholars are now required to have recognised university degrees before they can act as advisers to banks and companies. The council of scholars at the academy includes Sheikh Nizam Yaquby of Bahrain, Mohammad Daud Bakar of Malaysia and Abdul Sattar Abu Ghuddah of Syria, who were all ranked among the top 10 experts in a 2008 report by the Chicago-based Failaka Advisors LLC, an advisory company that monitors and publishes data on Islamic funds. Yaquby serves on the Islamic boards of 52 institutions, including the New York-based Citigroup Inc and London-based HSBC Holdings plc. Daud advises firms such as the Paris-based BNP Paribas SA, according to the data. “The whole idea is to further strengthen confidence by making syariah scholars truly professional,” Madzlan said, adding that the majority of experts also have full-time careers. “The plan will materialise because there’s a need for it.” A shortage of scholars versed in syariah law means they tend to sit on a number of advisory boards simultaneously, which increases the risk of conflicts of interest, according to the Bahrain-based Accounting & Auditing Organisation for Islamic Financial Institutions, or AAOIFI. “We desperately need an institution that could certify and standardise different Islamic products in the market,” Kaleem Iqbal, a senior executive vice-president at Al Baraka Islamic, a unit of the Bahrain-based Albaraka Banking Group, said in an interview yesterday from Islamabad, Pakistan. Syariah-compliant bonds returned 10 per cent this year, according to the HSBC/Nasdaq Dubai US Dollar Sukuk Index, while debt in developing markets gained 12.5 per cent, JPMorgan Chase & Co’s EMBI Global Diversified Index shows. The Islamic notes rose 1.3 per cent in August after a 2.6 per cent increase a month earlier. The spread between the average yield for emerging-market sukuk and the London interbank offered rate narrowed 16 basis points, or 0.16 percentage point, to 385 last month, according to the HSBC/Nasdaq Dubai US Dollar Sukuk Index. Global sales of sukuk have dropped 13 per cent to US$10.1 billion (RM31.5 billion) so far this year, compared with the same period in 2009, according to data compiled by Bloomberg. The yield on Malaysia’s 3.928 per cent government Islamic note was little changed at 2.72 per cent yesterday and dropped 21 basis points from the end of July, according to prices from Royal Bank of Scotland Group plc. It reached a record low of 2.63 per cent on August 24. The Islamic finance industry, with US$1 trillion (RM3.1 trillion) in assets, is facing a challenge to develop global standards to attract funds from the world’s 1.6 billion Muslims. The AAOIFI, whose standards have been adopted in countries including the United Arab Emirates and Qatar, is proposing rules for scholars to reduce the risk of conflicts of interest, Mohamad Nedal Alchaar, secretary-general of the organisation, said in an interview in Kuala Lumpur. The guidelines by the AAOIFI may address whether syariah scholars can own shares in the institutions they serve and how many advisory boards they can join, he said. A centralised regulator for scholars will help increase investment because banks will save time in choosing experts to ensure products meet religious principles, said the academy’s Aznan, who also serves on the syariah board of Malaysia’s central bank. “Global regulation is beneficial, be that through a test of fit and proper criteria as to what makes one qualify as a scholar,” Omar Shaikh, a board member of the Islamic Finance Council in the UK, said in an e-mail yesterday. A GLOBAL authority may be set up to oversee Islamic finance syariah advisers, a religious scholar said, amid calls to address the fragmented regulation which threatens to slow the industry’s growth. The role of syariah scholars has been a growing point of debate as the US$1 trillion (RM3.1 trillion) industry’s rapid rise raises issues such as the shortage of advisers, conflicts of interest and a lack of transparency in their rulings. Syariah scholars shape the direction of the Islamic finance industry by issuing fatwas on financial instruments and banking practices. The International Syariah Research Academy for Islamic Finance (Isra), which is backed by Bank Negara Malaysia, has initiated plans for a global regulatory body for syariah advisers, and a group of religious scholars are studying the plan. Isra’s executive director Mohamad Akram Laldin said the proposed authority would be similar to other professional groups such as legal or medical industry bodies but its precise remit has yet to be finalised. Potential issues that could be dealt with include licensing syariah advisers and ensuring a continued supply of these scholars, he said. “We have a number of scholars who are there but what about the second, third generation?,” Akram said by telephone. “We need to plan in order to ensure that there will be no interruption in the industry. We hope that the different jurisdictions will recognise this as the platform to license syariah advisers.” He said the recently established committee comprising Malaysian and Middle Eastern scholars hoped to have a clear plan by next year. Malaysia, Pakistan and Sudan have national level syariah advisory councils but most other countries do not exercise similar regulation over syariah advisers. Bahrain-based industry body AAOIFI recently announced plans to overhaul rules dealing with scholars’ shareholdings and their conduct on banks’ syariah boards but compliance with its guidelines are voluntary. There are over 200 scholars but a small group sit on multiple boards and some also run their own syariah advisory services, raising concerns about conflicts of interest. But differing jurisdictions, regulators and legal frameworks could complicate the task of establishing a single syariah adviser platform. 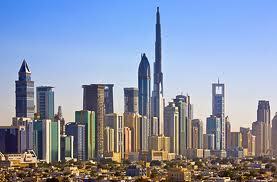 “It’s very difficult to set up an international body which actually has power to effect these changes,” said Muneer Khan, Islamic finance head at Dubai-based lawyers Simmons & Simmons. A discussion at Nahdlatul Ulama’s (NU) 32nd national congress in Makassar, South Sulawesi, ended on 25, March, 2010 with a conclusion that Sharia banks in Indonesia had yet to provide fully ‘halal’ fund management. A young scholar who was also the deputy head of the contemporary religious issues deliberation division at NU headquarters, Cholil Nafisia, said Islamic institutions in Indonesia still lacked ability to verify funds managed by Sharia banks. “It’s still possible that the funds of Sharia banks’ depositors are managed or invested in ‘haram’ ways,” Cholil said during a meeting at Makassar’s Sudiang haj dormitory. Depositors usually did not realize this, he said, as the initial process of the investment generally appeared halal. “When a depositor first makes the [transaction deal] to invest funds at a Sharia bank, everything will look fine and ‘halal’. “The mess will happen after that, when the bank invests the funds into various investment schemes,” he said. A sharia investment will not benefit its customer with interest. Sharia banks invest the funds in the stock market and share only a certain percentage of the profits with customers. Each Sharia bank implements unique methods of sharing and profit calculation, making it harder for Muslims to determine whether the funds are really managed accordingly. Once a single rupiah of a fund is invested in a haram business, the entire investment of a particular depositor would be haram, Cholil said. Cholil suggested that the NU play a significant role in tackling such issues. “Make more ulema into auditors and make more auditors become ulema,” he said. “I have asked the auditors association and they confirmed that only a small number of auditors in Indonesia were skilled in auditing Sharia investments,” he said. Cholil refused to comment if banks only used the label “Sharia” to attract customers. Some 20 papers that will revolve around the theme, “Contemporary challenges of Islamic finance: towards realising the goal of Shari’ah”, will be presented during the two-day International Conference on Islamic Finance. According to Unissa Rector Dr Haji Serbini bin Haji Matahir, the main objective of the conference is to consolidate and find solutions on issues of Islamic banking and finance “based on the fundamental Shari’ah principles and maqasid al-Shari’ah”. One of the challenges faced by the Islamic banking and financial institutions is developing products and services approved by Shari’ ah or legitimate from the Shari’ah perspective. Dr Haji Serbini hopes that the conference can “positively contribute to the development of a more globally harmonised Islamic banking and finance industry that would better serve the Muslim Ummah”. The conference, which was officiated by Minister of Finance II Pehin Orang Kaya Laila Setia Dato Seri Setia Awang Haji Abdul Rahman bin Haji Ibrahim yesterday, will conclude today. Among the papers that will be presented today are “The Bruneian Perspective Towards Islamic Banking System In Brunei” by Azme Haji Matali, and “The Shariah Process In Produet Approval In Islamic Banking & Capital Market” by Dr Ahcene Lahsasna.